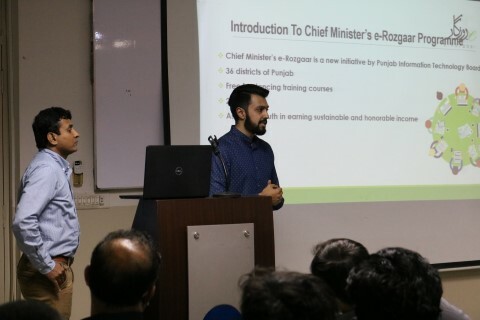 E-Rozgaar Program is a great initiative of Government of Punjab to reduce unemployment and overcome financial challenges by training the educated youth to use their technical skills for making honorable living via freelancing and enhance their professional capabilities. 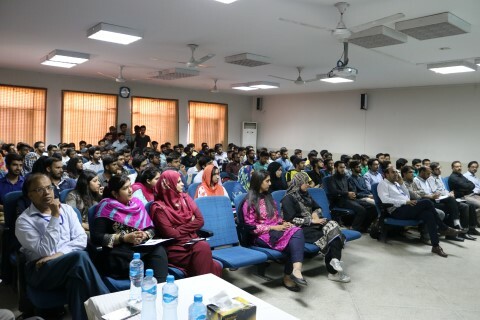 A team of highly qualified and experienced IT professionals nominated by Prof. Dr. Umer Saif Chairman PITB and VC ITU visited CS Department of CUI Lahore Campus and delivered informative seminar on E-Rozgaar program to CS faculty and students on Wednesday 11-04-2018. 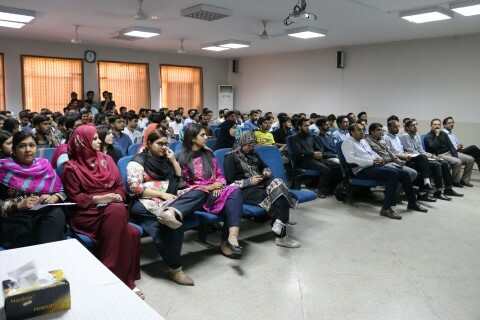 The team members shared some inspiring success stories of students earning quite huge amounts of money through freelancing after/during getting training over the E-Rozgar centres. 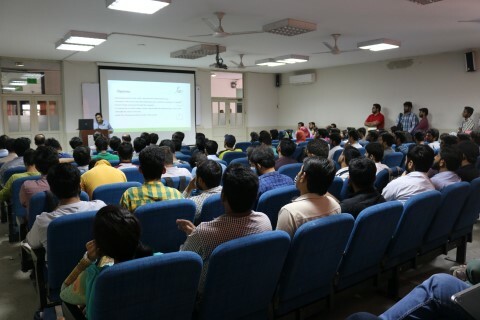 E-rozgaar centres are aimed to increase freelancing exposure for students and provide training to the students for improving technical and non-technical skills. © CS CUI 2015. All right reserved.